Welcome to the Fireside Gear page! 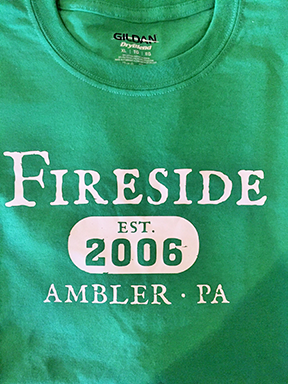 You can now purchase Fireside Gift Cards along with many of our favorite t-shirts, sweatshirts, and other Fireside gear! We will be adding products periodically, so check back often! All items, except gift cards, are available while supplies last. Merchandise or gift cards are usually mailed within 3-5 business days from date of purchase. 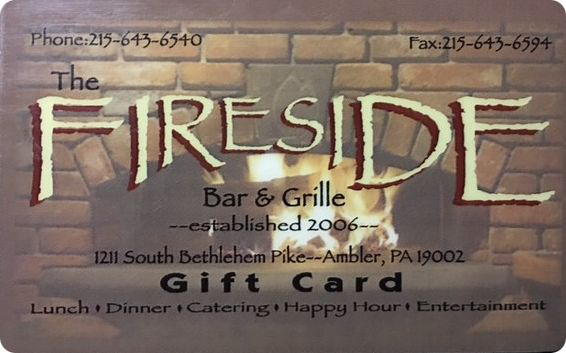 You may also purchase fireside gear or gift cards with a credit card by calling the restaurant at 215-643-6540 during business hours. Shipping is free for all online purchases. 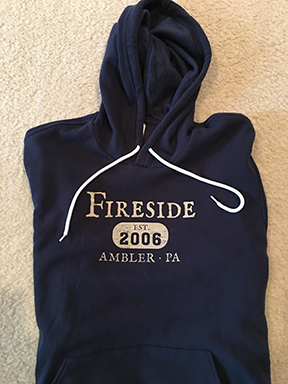 All items may also be purchased in person at Fireside. Online purchases can only be made through PayPal. Thank you for shopping!